This grain is expertly milled with the texture of semolina for a superior feel & flavor, while retaining all its healthy, whole wheat goodness. 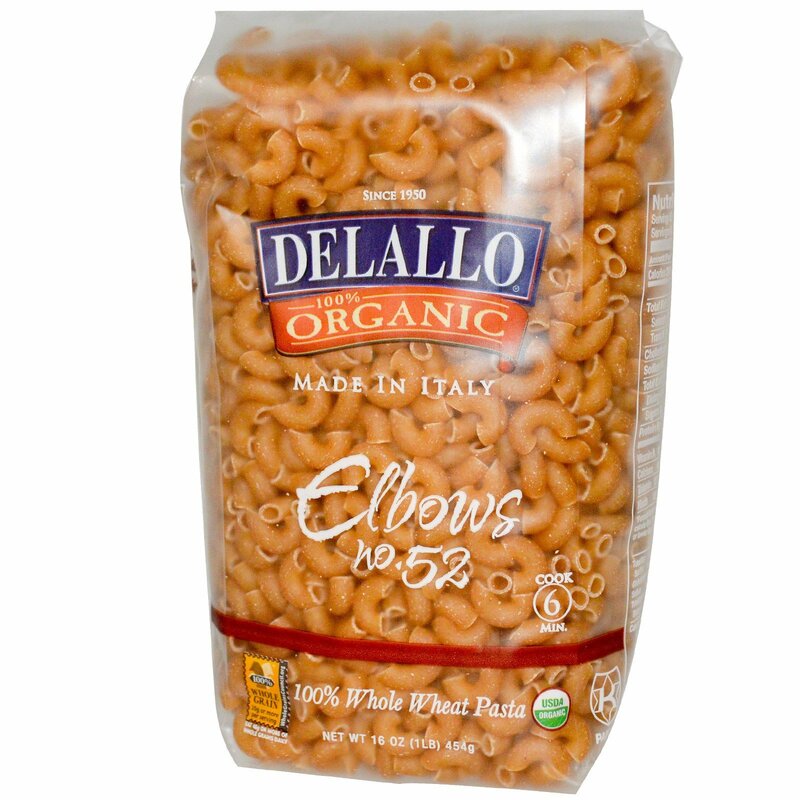 At DeLallo, we take time with your pasta. Our dough is slow kneaded with cool, spring water and dried at low temperatures, so that your pasta keeps its fresh-bread taste and cooks "al dente" every time. Once the most common of short cuts, elbows are most often dressed in creamy cheese sauces that are easily caught in their hollow, curved tubes. Before pasta, add approx. 1/4 cup salt. To bring water back to a boil, cover with lid. Once boiling, remove lid, stirring occasionally to prevent sticking. Cook for approx. 6 minutes. Cooking pasta is not an exact science. 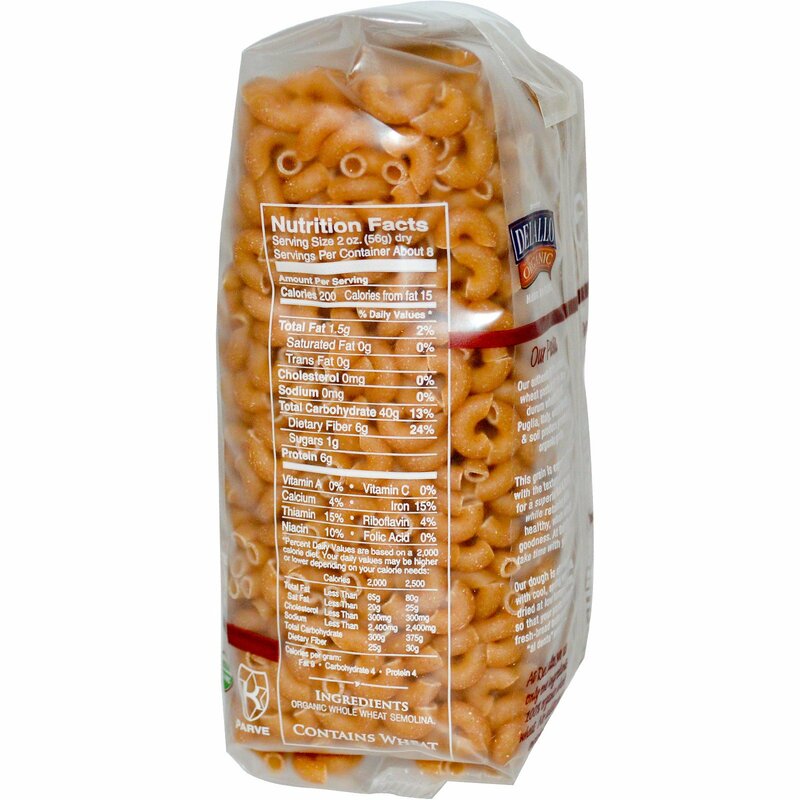 Continually check your pasta for al dente texture. Remove pasta from water just before it is done, as it will continue to cook once drained. Save 1-2 cups of pasta water to enhance your sauces. For oil-based sauces, adding pasta water smoothes & loosens sauce to help coat pasta. For red sauces, adding pasta water helps to extend thicker sauces.